Ralph Radtke, General Manager & Regional Director Kempinski Residences Turkey. Prior to joining Çırağan Palace Kempinski İstanbul, 4 years he held the post of Senior Vice President of Sofitel for a total of 15 hotels in Northern, Central & Eastern Europe, Turkey & Israel. In October 2011, he assumed his current position as the GM of Çırağan Palace Kempinski as well as the Regional Director of Kempinski Residences Turkey. 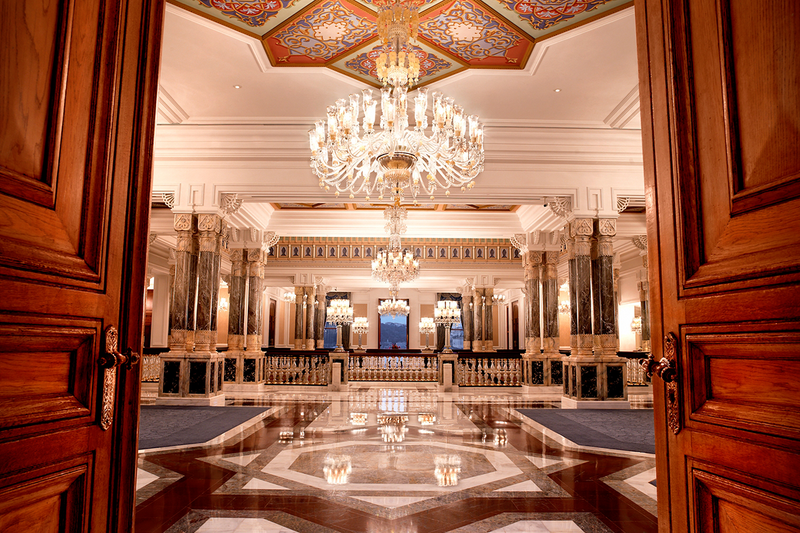 5-star luxury Imperial Palace & Hotel. The area around the Çırağan Palace was known as “Kazancıoğlu Garden” during the 17th century. These lush gardens extended from the Beşiktaş district to the Ortaköy. The colourful years that came to be known as the Tulip Period, a period characterised above all by a passionate love of flowers and music. It was during these years that Ahmet III presented this property to his son-in-law, the Grand Vizier Ibrahim Pasha. The first structure in the region was the mansion that belonged to Admiral Kılıç Ali Pasha. Damat İbrahim Pasha of Nevşehir, the Grand Vezir, had built a summer mansion for his wife Fatma Sultan (the daughter of Sultan Ahmet III) in 1719 on the same spot. Fatma Sultan frequently organised torch lit celebrations, or “Çırağan Festivals”, in the gardens. In Persian, the word Çırağan suggests a “special light source”. The word soon became synonymous with the palace. Sultan Mahmut II in 1834 decided to reconstruct the area that by then had a mosque, a school and a Mevlevi lodge by demolishing the summer villa and building the first palace. Sultan Abdülmecid demolished the palace that Sultan Mahmut II had built, and made plans to rebuild a new palace in a “western” style. However, he passed away in 1861 and his wishes were carried out by his brother, Sultan Abdülaziz. Sultan Abdülaziz finished building the palace in 1871, yet the building was in a more “Eastern” style, and North African architectural techniques were used. The contractors were Sarkis Balyan and his associate, Narsisyan Krikor. The waterfront construction alone cost 400,000 Ottoman liras. Over the construction of the Çırağan Palace, which began in 1863 was completed in 1871, 2.5 million gold coins were spent. On November 14, 1909, Çırağan Palace was selected as the site for a significant meeting of the Turkish Parliament. Dramatically, however, shortly after the conclusion of the Parliament meeting in January 1910 a fire destroyed the inside of the palace, including significant antiques and art pieces from Abdülhamid’s collection and books from the renowned library of Murat V.
At the end of WWI, during the occupation of Istanbul, the ruined palace was used as “Bizo Barrack” by the French military’s field corps engineers. From 1930 on, Beşiktaş Football Team used the garden of the palace as a stadium. In 1946, an army captain damaged the grave site of the whirling dervishes in the basement of the palace while digging for gold. That same year it was decided that the palace would be left to the municipality. On 7 March 1985, the Sanbar Group signed a letter of understanding with the Turkish Republic Ministry of Culture and Tourism to renovate the Çırağan Palace and develop it into a recreational centre with an adjoining five star hotel. Kumagai Gumi as the main contractor for construction. The construction work started in 1987 and, subsequently, the Kempinski Group was awarded the contract for hotel management and operations. Çırağan Palace Kempinski Istanbul opened its doors to a curious public in 1991 with the modern hotel building built on the premises of the palace. 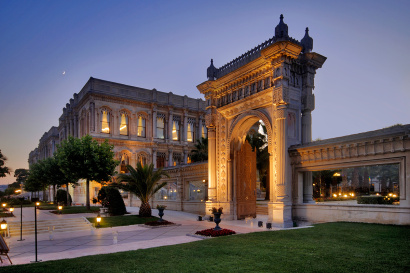 More significantly, however, after years of redesign and construction the “new” Çırağan Palace opened the doors of its four immense, historic gates in 1992. The hotel building went under a renovation in 1997 which included all the rooms and public areas. 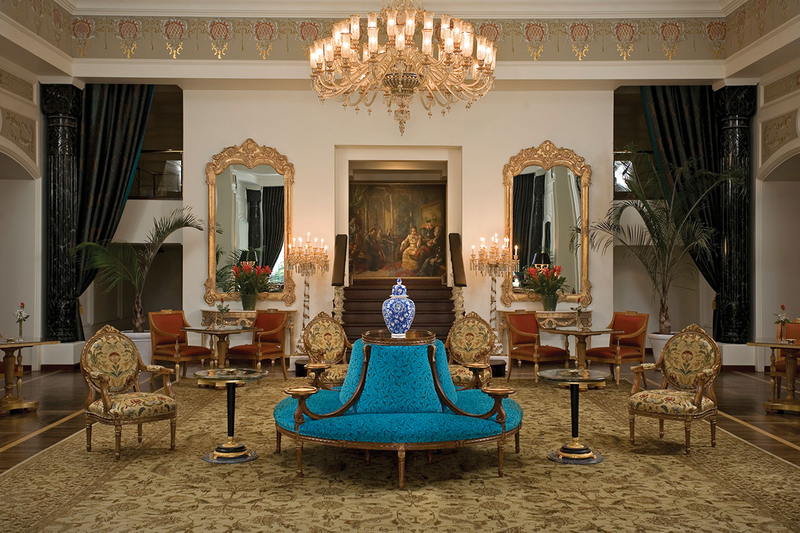 The palace’s renovation came in 2006; meeting rooms, public areas and suites were restored to their original colour scheme and glamour. State-of-the-art technology was also placed in all meeting rooms. The Tuğra Restaurant was part of this renovation project as well. 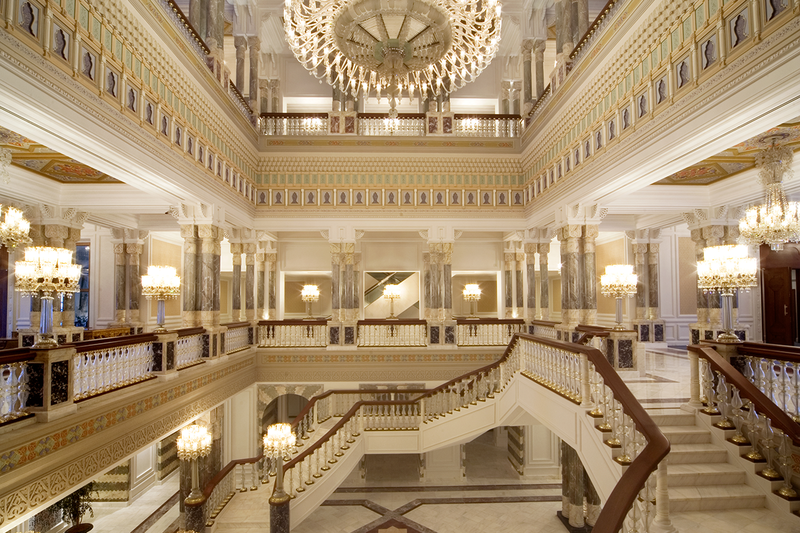 Since then, Çırağan Palace Kempinski Istanbul has remained as “the place” to meet for royalty such as H.R.M. Juan Carlos II, King of Spain and Prince Albert of Monaco. Presidents and prime ministers such as Bill Clinton and world renowned artists, designers and business people such as Sophia Loren, Sting, Oprah Winfrey, U2, Madonna, ZahaHadid, Roberto Cavalli, Christian Louboutin, and many others have stayed as well. The hotel has also hosted countless international government summits, meetings, weddings and social events. 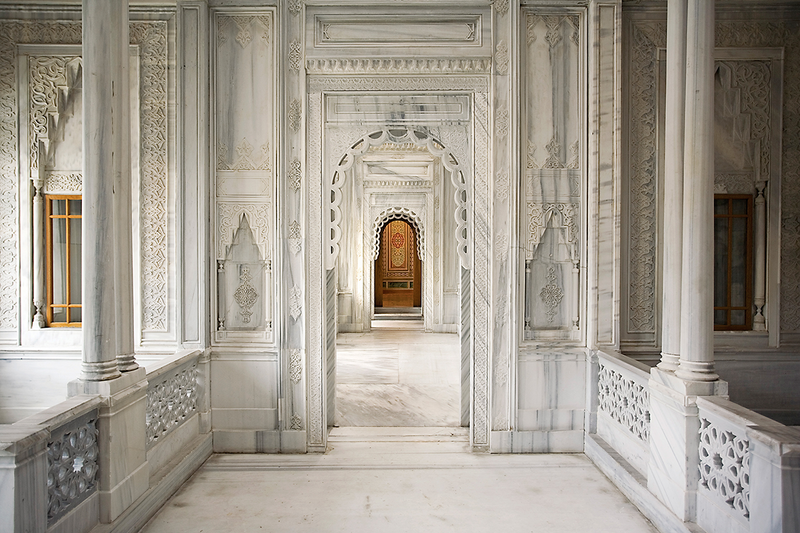 Elsewhere in Istanbul, there have been attempts to recreate the gracious lifestyle of the sultans within new hotels, but there is a world of difference between saying, “this is what the walls of a sultan’s palace would have looked like” and “these are the very walls”. Çırağan Palace Kempinski İstanbul is situated on the European shores of the Bosphorus, in the city centre between the districts of Besiktaş and Ortaköy. The hotel is 10 minutes’ drive from one of the main attractions of the city, Taksim Square, and the luxury and trendy shopping area of Nişantaşı. It is 20 minutes’ drive from the Old City Sultanahmet and business districts Levent and Maslak. Atatürk International Airport is 25 km/30 minutes away and Sabiha Gökçen International Airport is 45km/1 hour away. İstanbul, as the only city in the world that lies on two continents, Asia and Europe, İstanbul has hosted 3 big empires in its at least two-millennia old history. Featuring world renowned claims to fame like St Sophia, the Blue Mosque, the Underground Cistern, the legendary Museum of Topkapı Palace with its dazzling displays of the treasures of the Ottoman Sultans and the covered Grand Bazaar in its charming Old City. İstanbul hosts many hip and trendy districts as well, such as the luxury residential and shopping districts Nişantaşı and Bebek or more local and bohemian tastes such as Beyoğlu or Cihangir. Apart from shops scattered around the city, İstanbul offers modern luxury shopping malls such as Kanyon or İstinye Park as well. A Bosphorus boat cruise gives guests a chance to take in some unforgettable views of the city and see Ottoman architecture up close. Kids’ special treatment at Çırağan Palace Kempinski Istanbul starts with a warm welcome with a colourful and tasty candy upon their arrival. Kids are then presented with rucksacks which contain colouring books, colouring pencils and a name tag to be filled with their own name. “Childish surprises” await them in the rooms, including bathrobes fitting their height, a pair of slippers fitting their feet, tear-free bath products, lovely teddy bears on their beds and flavours appealing to their tastes. The hotel has an open air kids park, a kids pool, a spacious garden where kids can run and play and a special kids room prepared on Sundays during brunch (from 12.00 to 16.00). 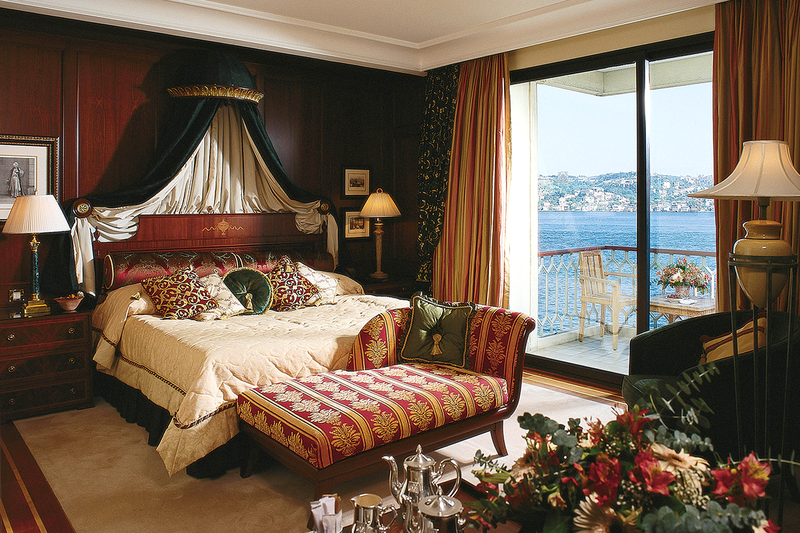 • 34 Grand Deluxe Bosphorus View Rooms (47.5-52.5 m²). 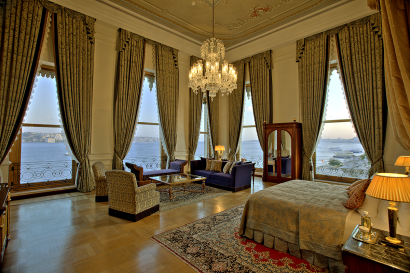 • 1 Presidential Suite and 1 Pasha Suite (156 m²). • 1 Sultan Suite (375 m²). 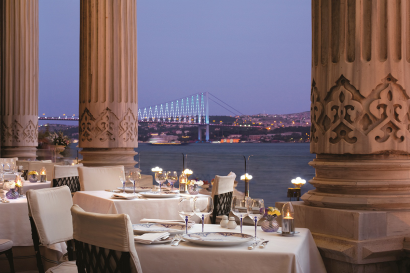 “The ultimate Ottoman dining experience” with a stunning view of the Bosphorus. For all-day dining. Famous with its opulent breakfast offering 250 items & piquant Sunday Brunch. 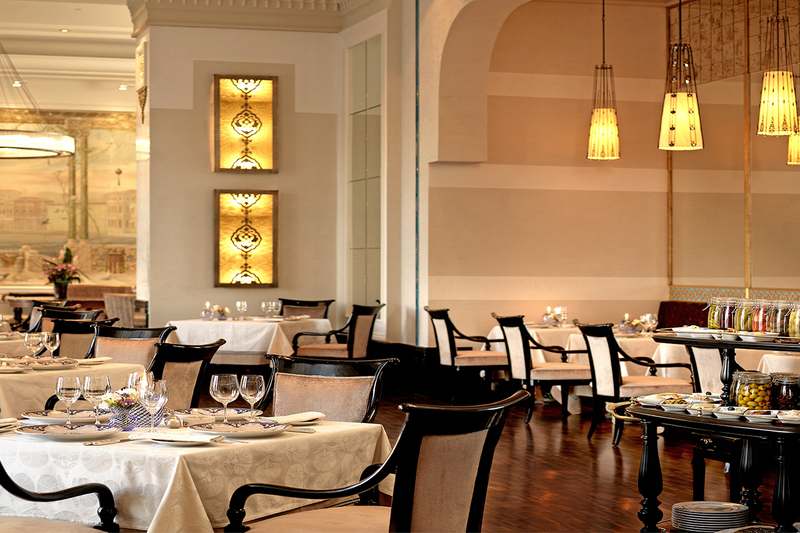 With the most renowned afternoon tea in the city. For premium drinks and quality cigars with its summer extension Le Fumoir Pavilion for “shisha with style”. Çırağan Palace Kempinski Istanbul Spa is managed by SANITAS includes an authentic Turkish bath (hamam), a gym, a whirlpool, an indoor pool, sauna and steam rooms, massage rooms and a cosmetic room. 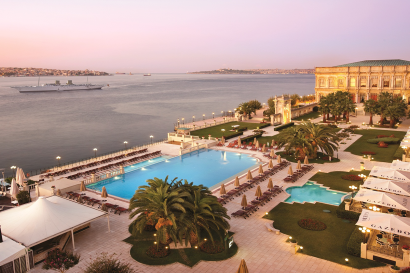 A favourite is the heated infinity outdoor swimming pool, which is open the whole year and has spectacular views over the Bosphorus. 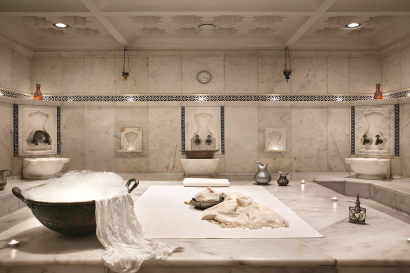 Turkish Hamam treatments and Ayurvedic treatments are other highlights of the Spa. 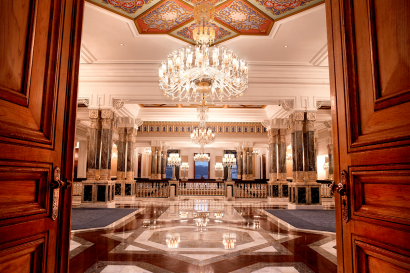 Çırağan Palace Kempinski’s 16 meeting rooms, with state-of-art-technology and unparalleled comfort ensure absolutely flawless meetings and social events. 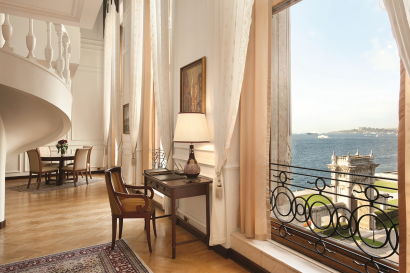 From the Çırağan Ballroom with an unbeatable view of the Bosphorus and a capacity of 950 people at a sit down dinner to a plainer room that can be divided and united, all rooms enjoy natural daylight. 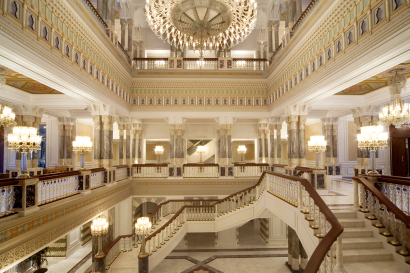 Palace Grand Ballroom and Terrace for prestigious social events up to 2000. • Turkish Exporters Assembly: Turkey’s 500 Great Service Exporters According to the results of the year 2015 survey, 57 were ranked in the top 500 service exporters and 12 in the “Tourism Services” category. • Commitment to Quality Award 2013, “Best in Europe” – awarded by The Leading Hotels of the World.